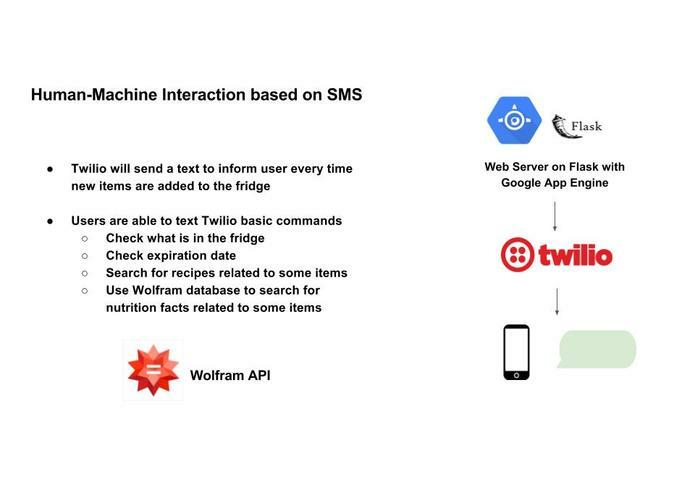 A Smart Fridge that uses Computer Vision to log in food, keeps user updated by SMS, and provide recommendations. We saw the brand new Samsung Family Hub smart fridge at the CES 2017, which require manual data log-in for the goods stored inside. 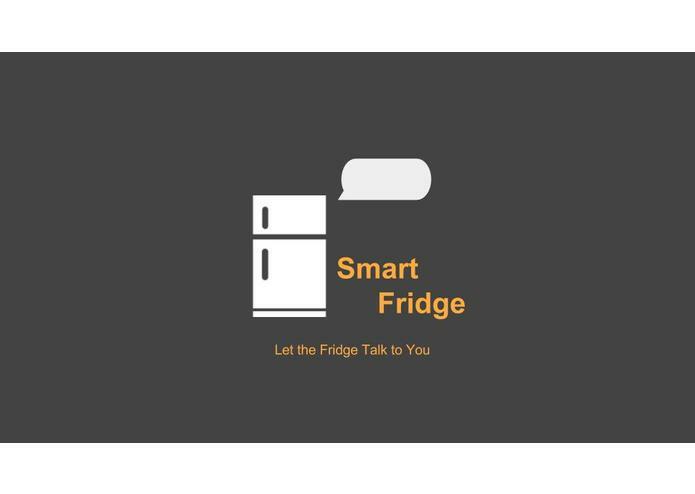 We got inspired to create a smart fridge that can automatically log in what's inside the fridge, enable users to access the data remotely and have information recommended for the users based on what they have in the fridge. 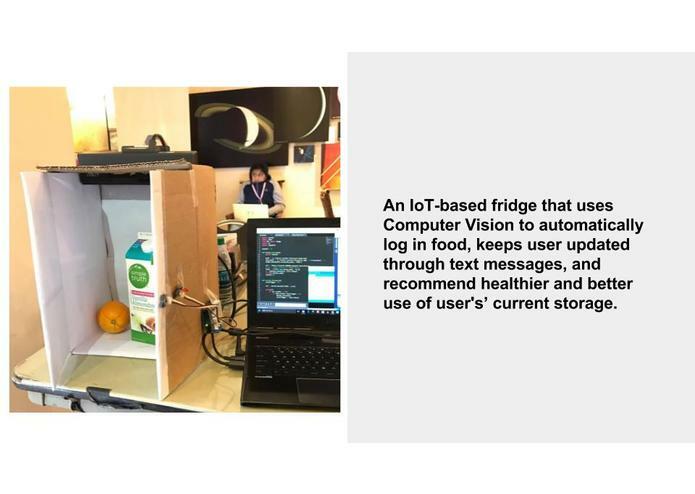 This is an IoT-based smart fridge that uses Computer Vision to automatically log in food, informs the users through text messages of what's stored inside and expiration data, and recommend healthier and better use of user's’ current storage through features like checking nutrition and search for recipes related to some items. 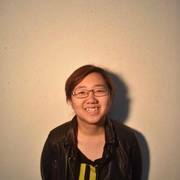 3) At first, it was really hard to pick the right label from about 10 labels returned by cloud vision api. We used KnowledgeGraph first to narraw the list down to 3-5 labels, and then manually process them according to how “general” or “specific” they are. 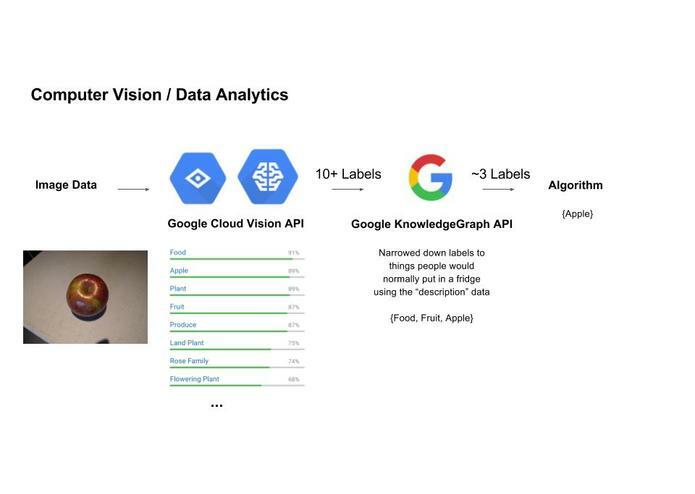 4) There were some misleading parts in the documentation of cloud vision api in Python. The URI stated in the doc is not the correct format required by the actual function. We finally figured it out by looking into the C# version of that documentation. 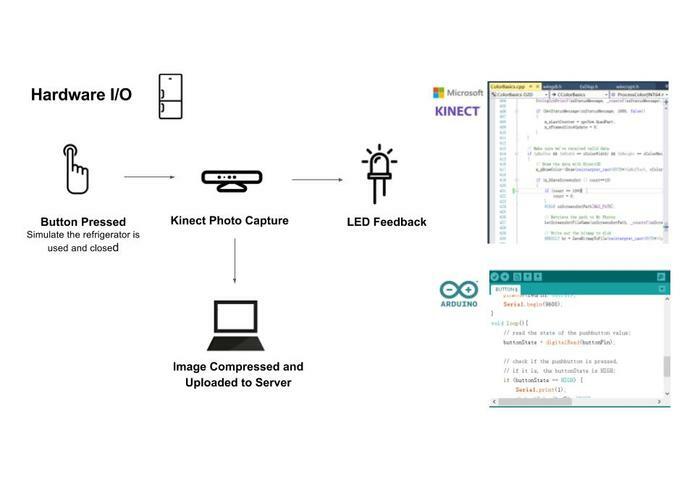 I worked on the hardware set-up and development with Kinect and Arduino. 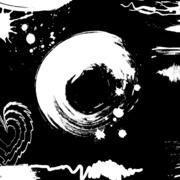 Also, I determined the technical flow of the project and created the slide deck. 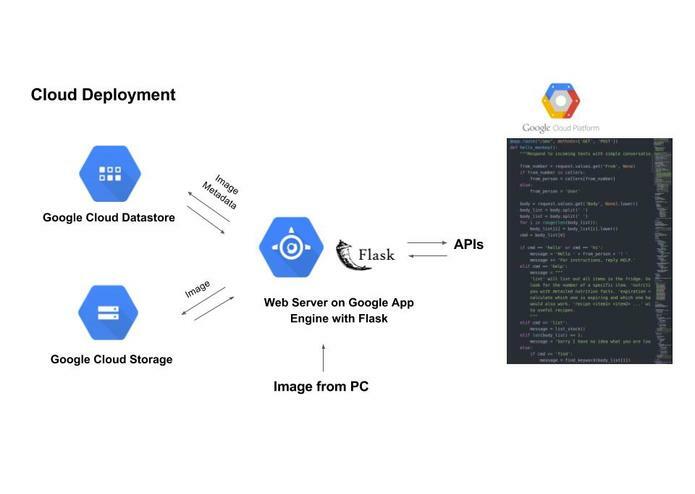 I built the python flask web server which connects to both Google Cloud Platform and Twilio. I also managed Google Cloud Datastore and Google Cloud Storage. I created all the user interactions with twilio. 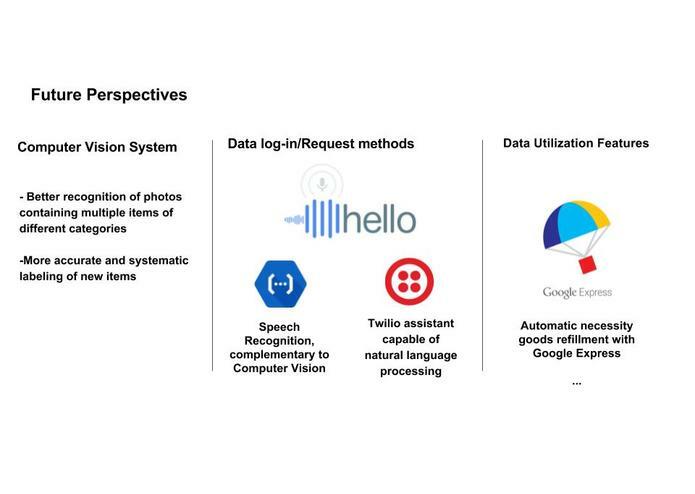 I worked on Google Cloud Vision, Google Knowledge Graph to do Computer Vision and data processing, giving high accuracy labels. I also applied Wolfram API as a nutrition database to give food suggestions.